What is Digital Printing Technology - 3D Printing? As the call from industry for training in 3D printing increases, Somerset Community College has stepped to the forefront in offering a certificate in the technology. 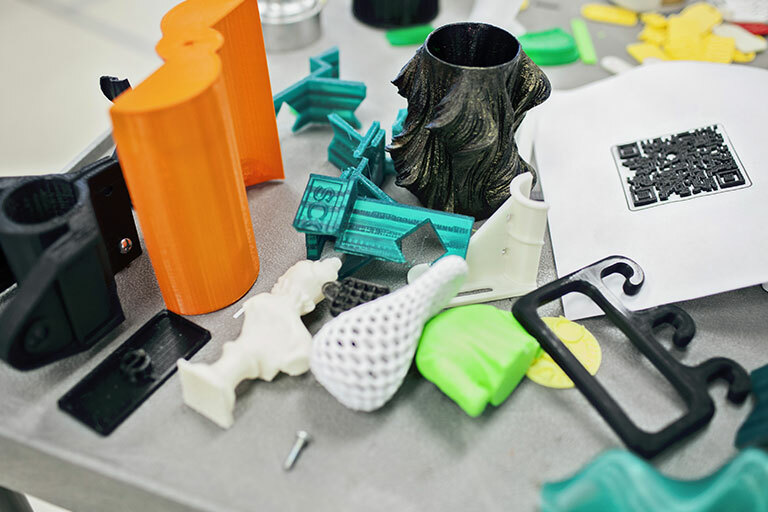 SCC was the first institution of higher education in Kentucky to offer the statewide certificate in additive manufacturing, also known as 3D printing. Experts in nearly every manufacturing industry, as well as various biomedical and service industries, are predicting that training in additive manufacturing/3D printing is what their employees will need for the future. In the next decade, the market potential in this field of technology is estimated to be between $230 to $550 billion dollars, mainly associated with transportation, biomedical, and tooling industries. The potential for growth in the additive manufacturing/3D printing field is particularly great in Kentucky because aerospace (aircraft parts) is the state’s number one export with automotive parts following at number two. Printed parts and pieces are becoming more of the norm and students with the knowledge of how additive manufacturing/3D technology works should have a distinct advantage in the workplace of the future. The certificate at SCC will consist of five classes, including design classes, individual hands-on projects and a business class with a focus on entrepreneurship. Additive printing/3D technology is constantly changing and business and industry leaders are finding ways to incorporate it everywhere — in business, art, health, manufacturing, education and more. By offering the 3D Printing Technician certificate, SCC places itself at the forefront of this growing technology. Students successfully completing the coursework will be poised to take the lead in this technology across the state. If you are considering going into one of these fields of study, then 3D printing may be right for you! Follow us on our Facebook page to see what we are making!